All the 16 players, who will join the World Batoo League (WBL) Season I вЂ“ Round of 16, were selected. South Korean and Chinese professional and amateur players including Lee Changho and Choi Cheolhan are included in the list. 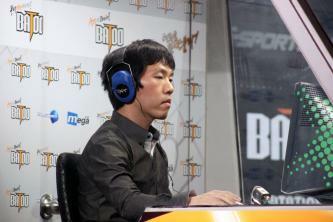 The opening match will be held at the e-Sports Stadium in Yongsan, central Seoul, from 1:00 p.m. on Friday, Aug. 14. Fierce battles between Chinese and Korean players and between professional and amateur players are set to thrill Batoo lovers around the world. A total of 300 million won is up for grabs as prize money for the global competition of strategic mind game Batoo, with 150 million won set for the champion. Matches are to be aired live on cable channel Ongamenet on Fridays (1:00 p.m.) and Sundays (9:00 p.m.) of August and Thursdays (1:00 p.m.) and Fridays (1:00 p.m.) of September and October. Lee Changho and Choi Cheolhan, both star players in the world of Baduk, were invited by the host to join the Round of 16 of the World Batoo League (WBL) Season I, where a total of 300 million won is up for grabs (half of the total prize money set for the champion). Lee, who holds numerous world championship titles, is the No. 1 Baduk player representing South Korea. Choi, ranked second in the country, is also a star player who once defeated Lee in the 6th <Eungssi-bae> Championship to become the world champion. Lee and Choi are poised to join the WBL Season I вЂ“ Round of 16, where they will meet other professional and amateur Batoo players from China and Korea. The opening match will be held at e-Sports Stadium in Yongsan, central Seoul, from 1:00 p.m. on Aug. 14. In the meantime, with the joining of Lee Chang-ho and Choi Cheol-han, all the players in the Round of 16 of the WBL Season I have been selected. KoreaвЂ™s Heo Yeongho (the Batoo Invitational champion) and ChinaвЂ™s Pan Fei, Cui Can, Teng Cheng and Meng Fanxiong (all winners of the Korea-China Round) have earned seeds in the Round of 16. One more seed was given to Sohn Chang-ho, a Korean player who topped the amateur seed competition. Also joining the Round of 16 are the eight other players who passed through the final primaries: Kim Seungjun, Ahn Dalhun, Kim Chanwu, Seo Jeongin, Park Jieun and Lee Jaewung from Korea and Zhang Li and Zhou Zhenyu from China. and where is those games?